Superlots sales are becoming the preferred way to sell sites, with seven owners coming together to offload a prime South Sydney development opportunity in Alexandria for $30 million. This has led to each owner gaining as much as a 300 per cent uplift above the stand-alone industrial value. A local, private investor/developer bought eight of the 10 units, most of which were owner occupied, within a strata industrial estate at 163-173 McEvoy Street from vendors including Clark Corporation, Peaty Group and MRecht Accessories. It is likely the buyer will look to develop in the future. By creating the so-called superlots, the owners can target larger developers while also keeping the collective costs at a reasonable level. At Alexandria, the approximate 5590 sqm land area is zoned B4 mixed use and was sold through Adam Bodon and Peta Antoniou of Knight Frank. "The surrounding streets of Fountain and Lawrence Street have prospered in recent years, undergoing a radical gentrification which has seen them turn into the most desirable streets in South Sydney, " Mr Bodon said. The advantage of the property is its proximity to the Sydney city, the Green Square train station and the busy McEvoy Street with its mix of residential developments and a wide range of high-tech commercial and retail properties on the southern side. Ms Antoniou, Knight Frank's associate director, South Sydney, said the nearby developments on Fountain Street have set the benchmark and opened up this small pocket of Alexandria to a whole new demographic of occupier and weekend visitor. 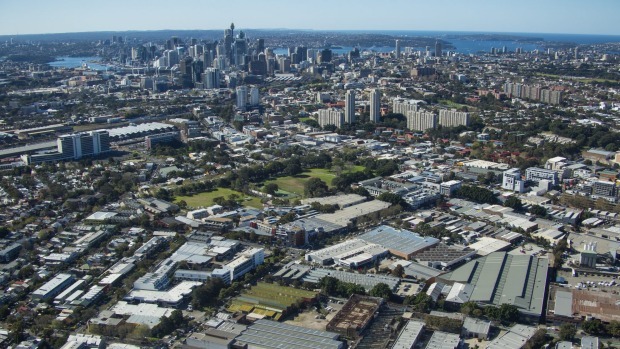 Further afield, as demand and competition for large land parcels across Sydney remains strong, developers are increasingly looking to the greater Sydney region to acquire land for purposes including residential development, particularly those in the NSW government's 'Priority Growth Precincts' in the north and south-west, JLL says. This has recently been evidenced by the sale of a 2.33-hectare property that was sold by the firm's directors of metropolitan sales and investments in NSW, Paul Hunter and David Mathews, for $5.5 million. The property is located at 103 Kensington Park Road in Schofields and was bought by a local developer. "While the site does not yet have development approval for residential development, the price achieved was reflective of the demand that's present in the market," Mr Hunter said.